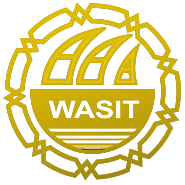 Wasit Motors was an established Motor Vehicle Servicing and Trading company in the United Arab Emirates since 1987. It was formed as a joint venture with Caltex and Eppco for Petrol and Diesel vehicle servicing and Lube changing. With vast experience from the field of vehicle servicing and trading, we provide our customers with customised services for their vehicles. Wasit Group of companies provide complete solutions for your vehicle's need ranging from motor repair of both petrol and diesel engines as well as body work, detailings, lube express, exclusive car service, automobile air condition repairing and maintenance, tyre service and sale..etc. With our state-of-the-art facility, your vehicle gets all attention from our experienced staff. Visit us at any of the location to know the in depth details of services we provide. With state of the art facility and machineries our workshops and service centers provide you with utmost comfort and peace of mind while we take care of your vehicles. At all our Divisions there is a Mini Mart for shopping as well as waiting rooms and prayer rooms and ample parking spaces.